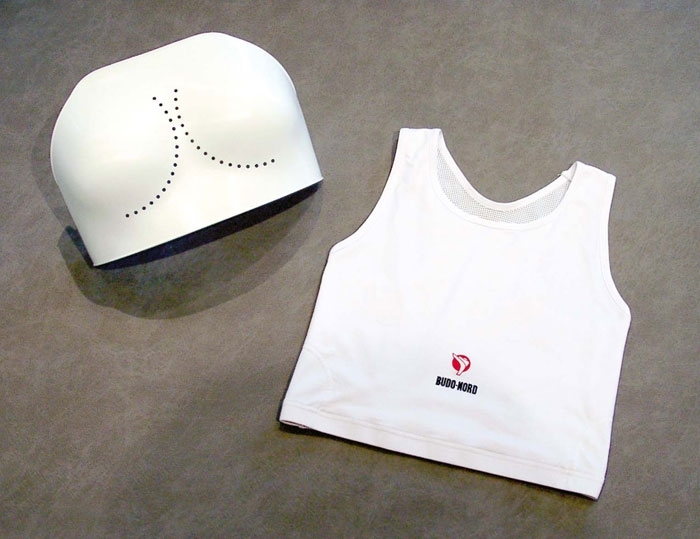 Breast, ribs and sternum are protected by a flexible, yet very strong polyethene shield (WKF Approved). Held firmly in place by an especially designed cover with two frontpanels made of stretch Tactel. 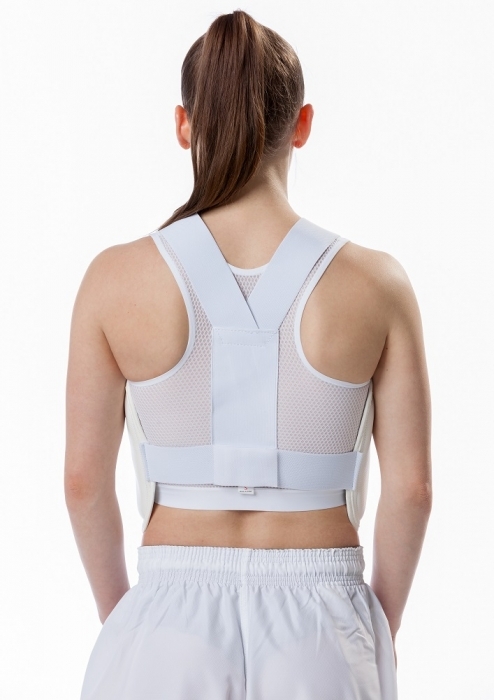 The fabric is permeable - lets moisture through. Please note this item is only the Fabric Vest only. 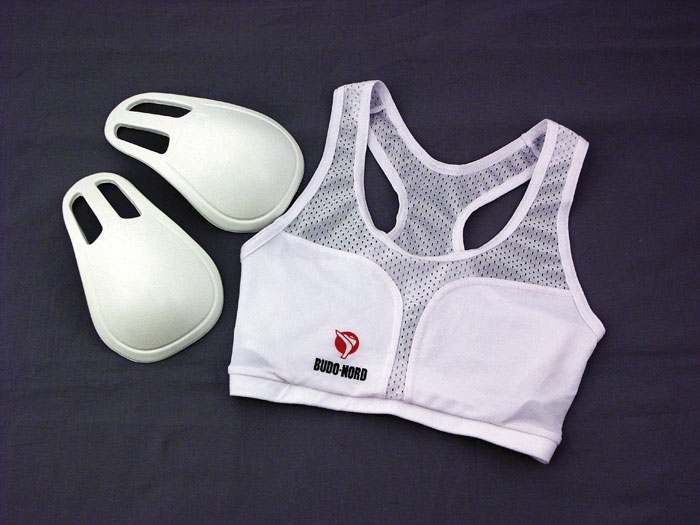 The polyethene shield chest guard must be purchased separately Click Here.